2010 Indian Premier League - IPL3 Royal Challengers Bangalore beat Kolkata Knight Riders 43rd Matches win 7 wickets (with 17 balls remaining) on Saturday, 10th April 2010, at Bangalore. KKR made 160/9 in 20 overs while RCB made 164/3 in 17.1 overs. man of the Match is Vinay Kumar who made 3 wickets. Royal Challengers Bangalore were inspired by their bowlers and a delightful half-century from Rahul Dravid in a seven-wicket win over Kolkata Knight Riders that propelled them to second place in the points table. Toss - Royal Challengers Bangalore, who chose to field. 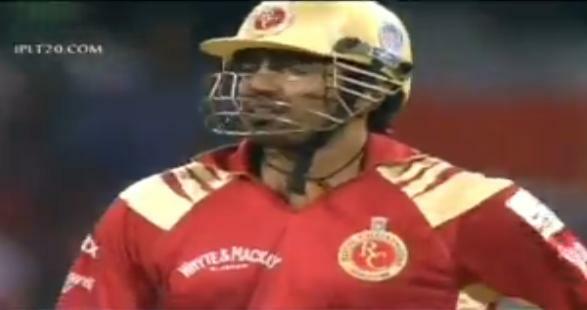 Result - Royal Challengers Bangalore won by 7 wickets.